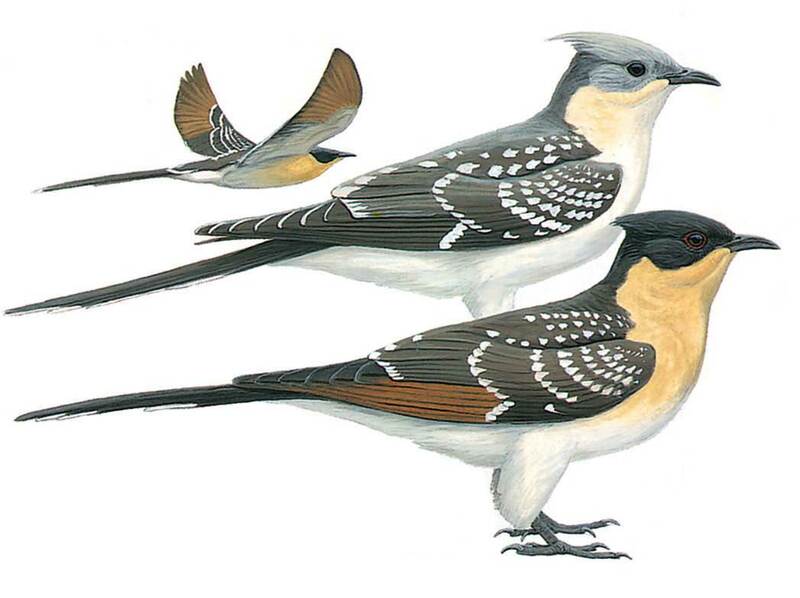 A large cuckoo with slight crest, very long tail and rather fast, shallow wing-beats. Unmistakable with grey upperparts, white-spotted coverts and white underparts. Juvenile is dark brown above with blackish head, white-spotted coverts and showing distinctive chestnut primaries (above and below) in flight.